The BFF couple took me to Basil Pasta House for my birthday. If they say a place has good pasta, then it must be really good. They spotted an open kitchen but it was not fully open. More like partially, as from a seated height, you could see the chefs in action but could not see the food. The place felt quite cosy, homely even. The decor was no fuss, which in this case was one of less is more. 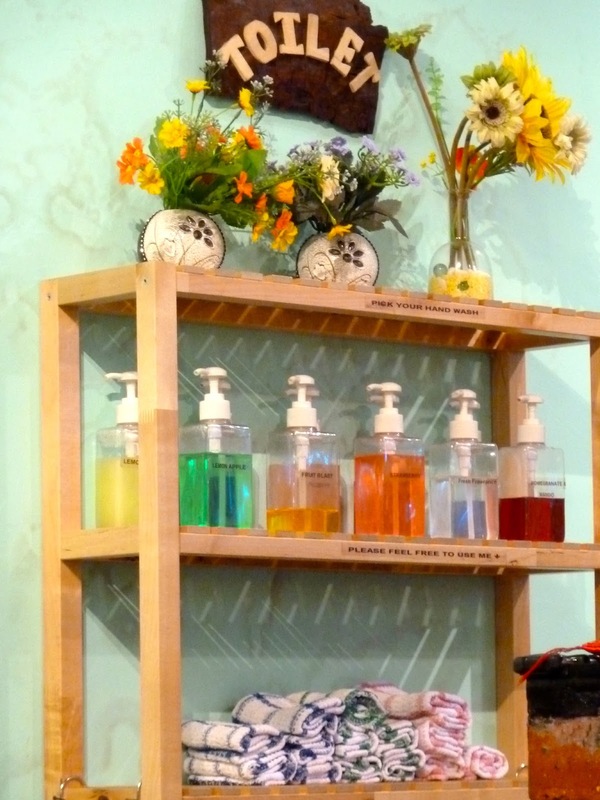 Their selection of hand wash liquid caught my attention. I think they are the first place that I have been to that provided that many types of hand wash liquids and even hand towels. I wondered if they were trying to be more environmentally-friendly, as paper towels and tissue paper do more harm than good to the environment. Apparently, this place was started by three brothers and I had a feeling that either one of them or all of them had some proper Italian cuisine training of some sort because I spied with my little eye the different types of pasta they had! I was impressed at how they made everything from scratch. However, this meant that our food took longer to prepare, which had us waiting for quite some time. 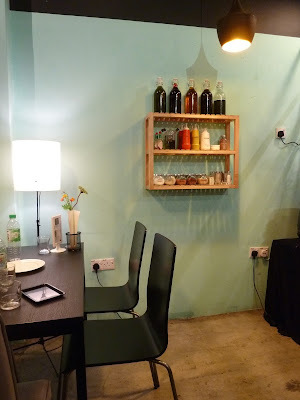 We shared a serving of Wild Mushroom Soup (RM6.90). I was surprised at how cheaply priced this trio of Button, Shiitake and Oyster Mushroom Puree with Cream and Truffle Oil was. Amazing start to dinner, I thought, and was really looking forward to mains. Have you ever heard of the pasta called orecchiette? I have not until this meal. It means small ears in Italian and I ordered it because it was cooked with smoked duck breast. Light tastes, I really enjoyed this dish. Their Pesto Genovese with Grilled Chicken Leg (RM17.90) did not disappoint, either. The hint of charcoal on the chicken made it more delicious. Do not be fool by this dish - it may look like a small portion but it was in fact, pretty filling. This was their Black Truffle Fedelini Pan-seared US Scallop and Prawn Bisque (RM29.90), a huge plateful of Fedelini sautéed with Onion, White Wine, Black Truffle Paste served with Caramelised US Scallop, Prawn Bisque, a dash of Cream and Chilli Oil. We left feeling extremely satisfied tummy-wise yet not that much poorer pocket-wise. If their service was quicker, this would definitely be a must-go place on my list of makan places for freshly-made pasta. Announcing the launch of Dialog Pendidikan! Is The World Being Over-engineered?